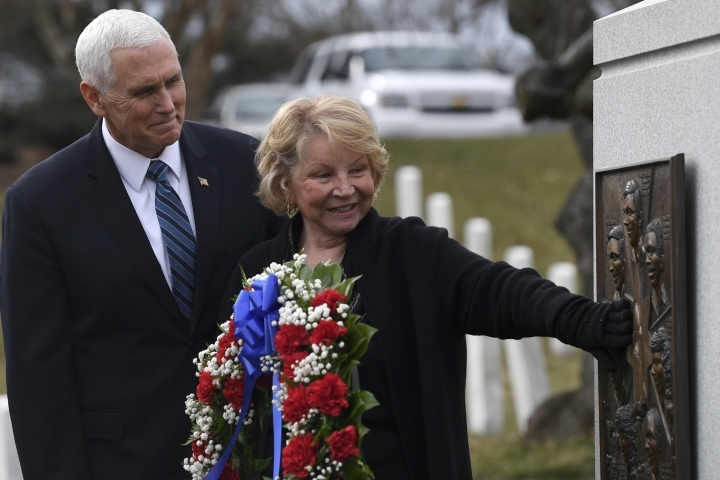 WASHINGTON — Vice President Mike Pence is honoring the nation's fallen astronauts during a NASA day of remembrance at Arlington National Cemetery. 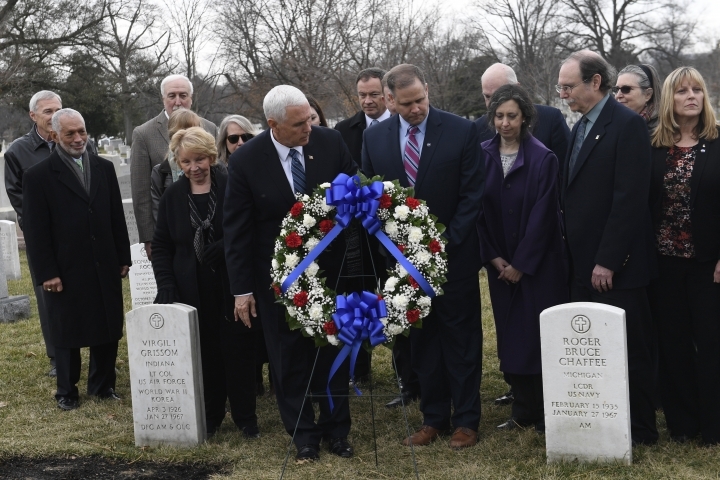 Memorials at the cemetery honor those who perished when the Space Shuttle Challenger exploded on Jan. 28, 1986, and when the Space Shuttle Columbia disintegrated upon re-entering Earth's atmosphere on Feb. 1, 2003. Pence recalled both events, saying that when the Columbia broke up, so did the hearts of the American people. 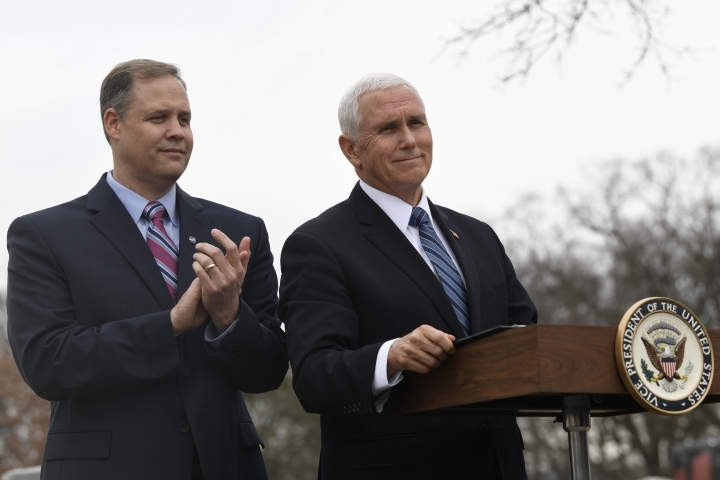 Pence tells NASA staff and family members of fallen astronauts that President Donald Trump's administration is committed to the United States leading in space exploration. Pence says the president has made it clear "we are going back to the moon, and once we're back on the moon, the United States is going to Mars."